There is a small wooden hall like a hut standing on the small hill behind the Soshi-do is Setsudo hall of Nakayama Hokkekyoji Temple. Its sharp angled roof is so fascinated looked like a temple in the mountain side. 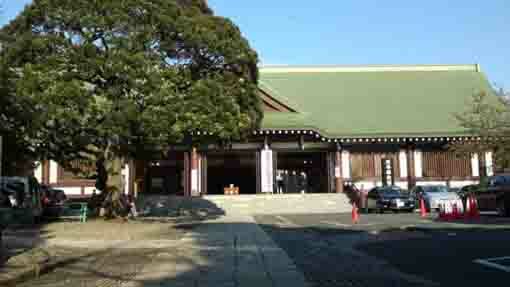 The Setsudo is also called Kishimojindo Hall. 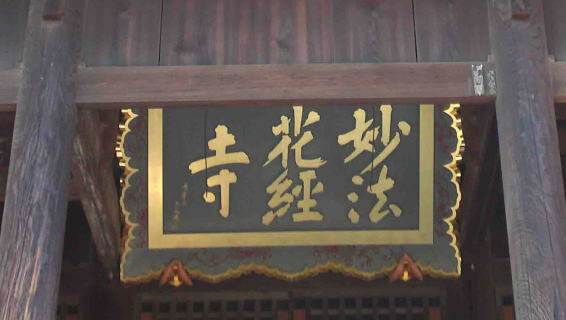 The framed letters 'Kishimojin' on the front door was written by an Imperial Princess in Hokyoji Temple in Kyoto. The Satsudo Hall was first built in Kamakura by Jingoro Hidari, one of the greatest craftman built Nikko Toshogu Shrine, and was moved to Nakayama in the regime of the third Shogun Iemitsu Tokugawa in early Edo period. 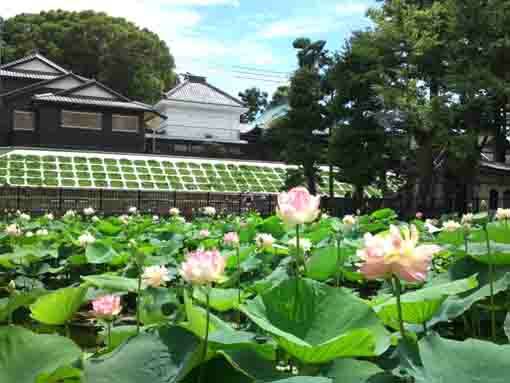 And there is a very interesting legend, that says that the areas around Nakayama Hokekyoji Temple had never had droughts since it had a picture of a dragon in it. Moreover, it dedicates Jurasetunyo, Kishimojin and Daikokuten to eliminate sins from people, so the day for visiting, the worshippers beat the drum for the day long. 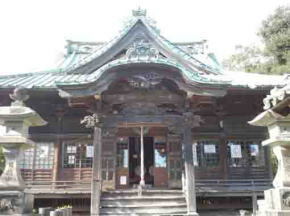 The day of Kinoe-ne-no-hi, the special practice faith healing is held there. 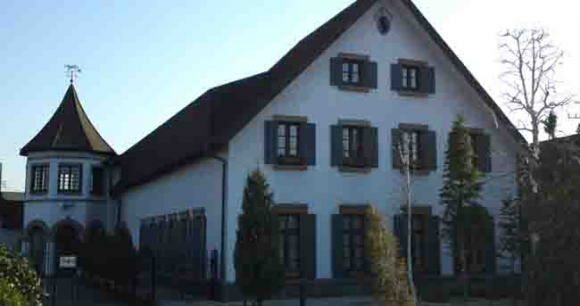 Visitors could see a wooden Edo Style building. Why don't you visit it? Jurasetsunyo means 'ten female devils', so they are the strong guards to protect the Lotus Sutra. They are Runba, Biranba, Kokushi, Keshi, Kokushi, Tahatsu, Muenzoku, Jiyoraku, Kotai and Dassaishujoshoge. They had drunk the human souls and spirits first, after they met Buddha with Kishibojini and listened his words, they became the goddess to guard the ascetic of Lotus Sutra. The model on the statue look generally Tennyo (celestial nymphs),never have drawn on the state of exasperation. They wears Chinese clothes or Japanese, and the accessories they have are disordered. 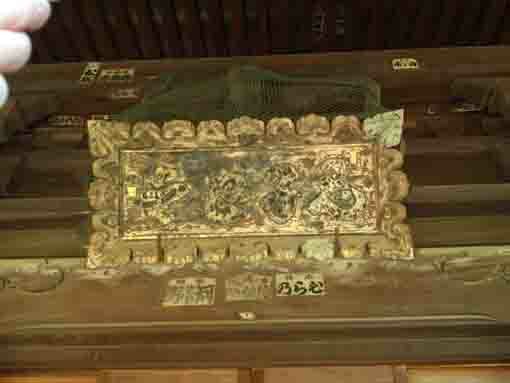 They are appeared on the covers of Lotus Sutra like 'Heike-nokyo' and 'Senmen-hokekyo-sasshi'. And they are also drawn with 'Hugen-bosatsu (Samantabhadra)' in general. Daikokuten is called Mahakala in Sanskrit. Fundamentally, Daikokuten was the god of destroy. In esoteric Buddhism, he belongs to the north of the most outer court of Garbha-mandala, and he is a relative or a manifestation of Jizaiten (Mahesvara in Sanskrit) who has three black faces with angry appearances and six arms and the god of battle, protects Sanpo (three treasures) such as Butsu (Buddha), Ho (Sutras) and So (priests).Later Jizaiten changes to the god of eating and drinking, so Jizaiten is dedicated in kitchen. 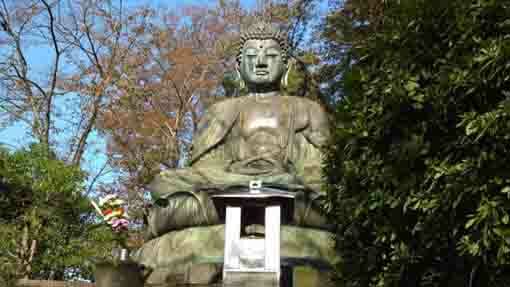 First Saicho brought Daikokuten to Japan, and he dedicated at Mt.Hiei. Daikokuten is a member of Shichifukujin (Seven gods of good fortune). He is described that he takes on a sack of rice with a headscarf on his head, mallet of good luck in his right hand, a big sack on his left shoulder. 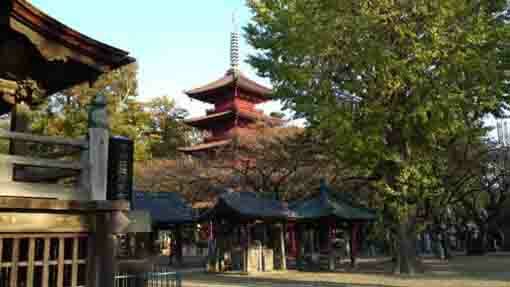 Daikoku is confused with Okuni who is the popular gods is dedicated at Izumo-Taisha Shrine. 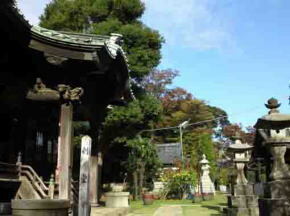 Since the middle ages, Daikokuten has been put the same god as Okuninushi, the faith to him is spread throughout Japan. 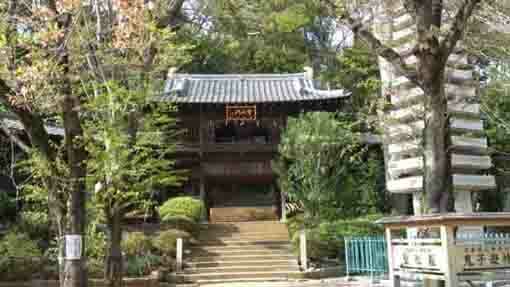 Daikokuten is worshipped with Ebisu as the god of good fortune. The Setsu-do Hall in Nakayama Hokekyouji Temple has great accessibilities from both Narita and Haneda International Airport. Koetsu Honami specially remained his calligraphy in Hokekyo-ji Temple, and Shiki Masaoka, Kyoshi Takahama, Kafu Nagai discribed it well.